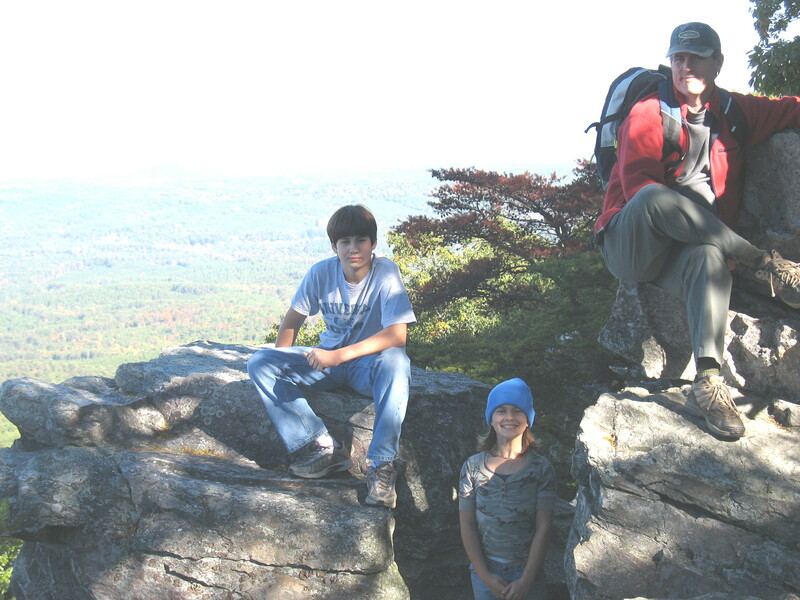 For my family, Mount Cheaha is a favorite destination for outdoor fun. 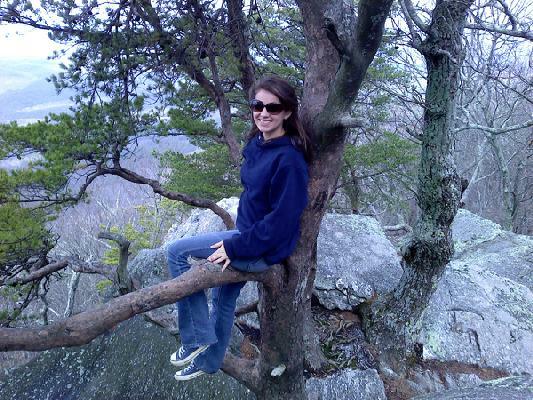 Only 2 hours from Atlanta, Mount Cheaha is located in Delta, Alabama, just south of I-20. This mountain holds some spectacular views over a sea of green tree canopies stretching for miles. 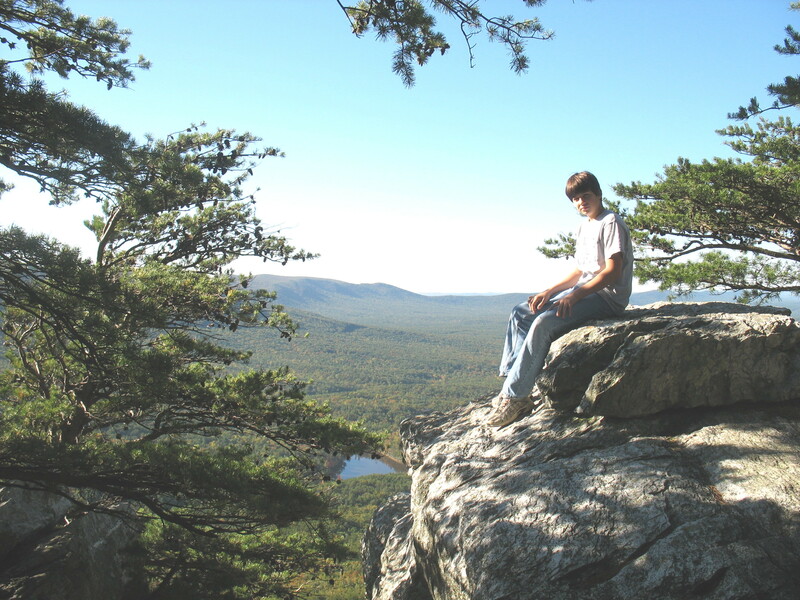 Surrounded by the Talladega National Forest, Cheaha is the highest point in Alabama. The local Creek Indians named it “Chaha,” meaning high place. Most of the trails on Cheaha are very easy to negotiate. They are well defined and all you need to take are: water bottle, hiking stick, camera, and binoculars. Dress appropriately and wear some comfortable hiking shoes. Pulpit Rock Trail – a short moderate hike. You may see people repelling from the sharp drop-offs. WARNING: if you have small kids, keep them close. There are no fences or barriers that protect the public. 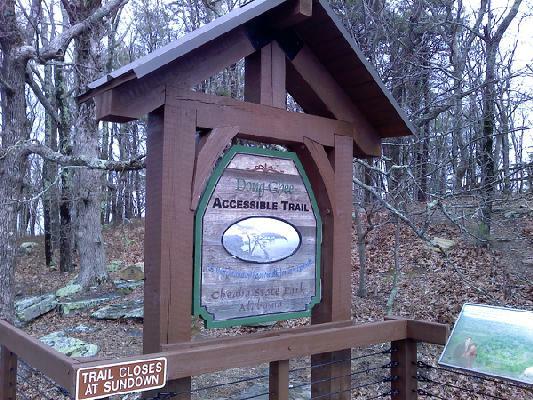 Bald Rock Boardwalk Trail – a quarter mile in length and wheelchair accessible. 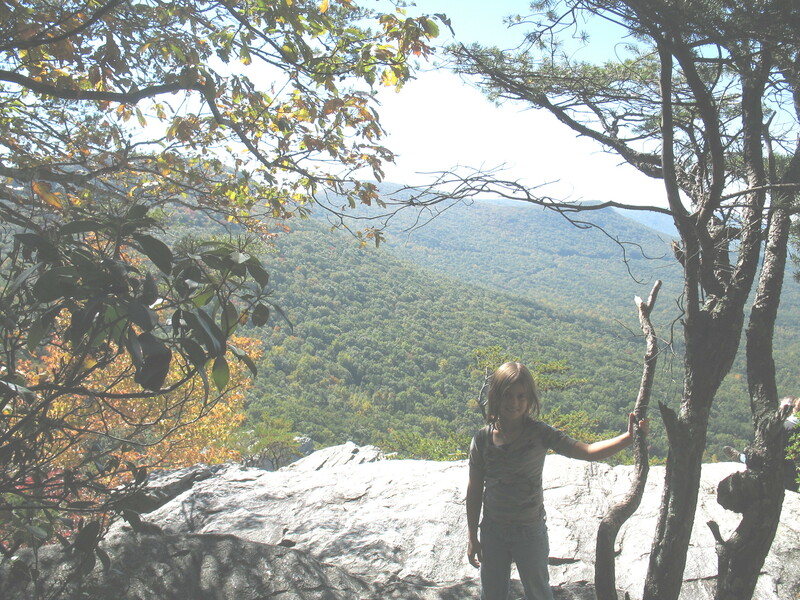 Rock Garden and Lake Trail – an easy hike to the overviews. If you want to make it a weekend trip, check out the park’s hotel. The rooms are pretty basic, but comfortable. The hotel sits atop the mountain and also has a restaurant, swimming pool and a country store. In addition, the park offers tent camping, cabins and chalets. For the cabins and chalets, make sure you reserve them well in advance. If you don’t want to stay in the park, Oxford Alabama is only 34 minutes away. The park’s restaurant has good food. They usually offer a buffet or you can order from the menu. Since it literally sits along the mountain’s edge, the restaurant presents a wonderful panoramic view. Several restaurants are available in Oxford or Anniston, just a few minutes away. Our favorite restaurant in that area is Top O’ The River located in Anniston. They serve great fried catfish and other seafood. Check out their website: http://www.topotheriverrestaurant.com/ . In Oxford, you will find the Lone Star Steakhouse and Mellow Mushroom, along with other great restaurants. At the foot of the mountain lies Lake Cheaha—a six acre lake. Here, you can fish, paddle and swim. Picnic areas and playgrounds are adjacent to the lake. 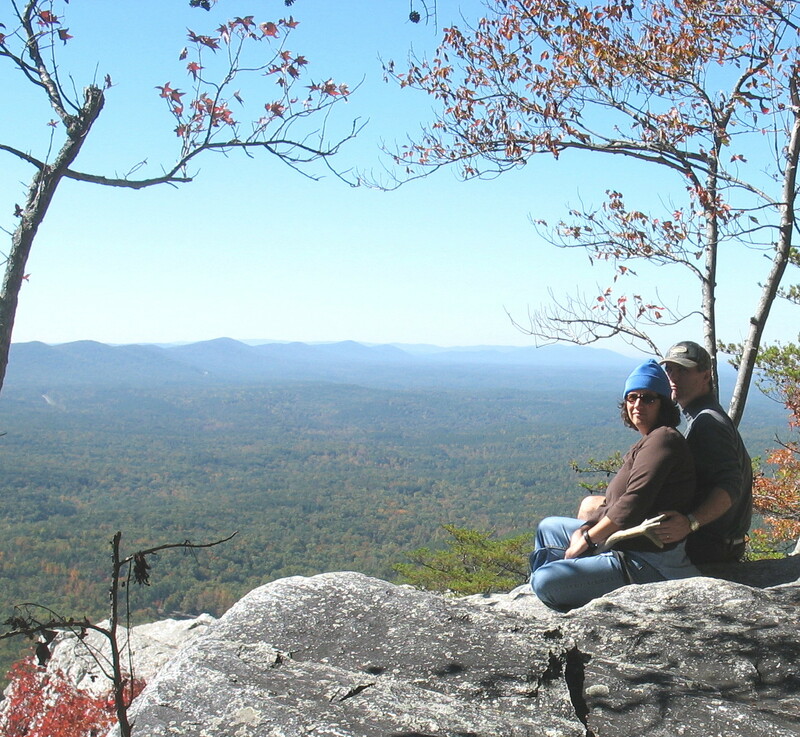 Other trails, such as the Pinhoti Trail are located around Cheaha and within the Talladega National Forest. If you and the family enjoy Geocaching, go to www.geocaching.com and find geocache coordinates within the park. 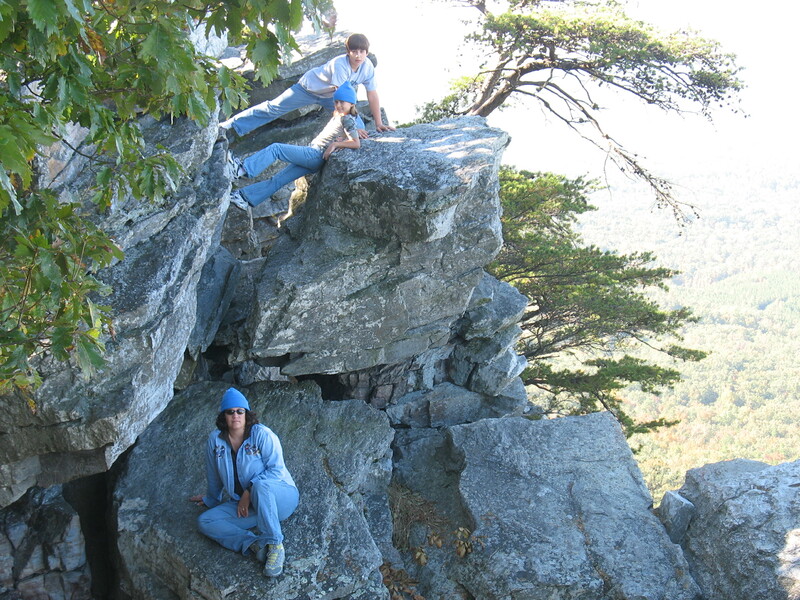 This entry was posted in Outdoor Travel and tagged Cheaha, family, hike, hiking, Nature, outdoors, parks, travel. Bookmark the permalink. There’s a nice overnight loop–or challenging day hike, if you are up for 17 miles with big hills. There is a shelter about half way through and a great camping area, frequented by boy scouts, about 5 miles from one end. I haven’t used the shelter, preferring the altitude of the big camping area at Odum Point. If you want a big first day and an easy second, you can park at Adam’s Gap, walk about 10 miles on Skyway/Chinabee Silent. At that point, you cross a highway (where you could also park before getting to Adam’s gap), and start a steep 2 miles ascent to Odum point where you intersect the Pinhoti. The next day, you have about 5 miles to walk south on the Pinhoti to Adam’s Gap. Another way to spend a night at Odum Point is to hike from a parking area about 6 miles north of it on the Pinhoti. You can hike back the next day on a different trail (Nubbin Creek/Cave Creek), which is about 7 miles. From the same parking area, you could hike north of the Pinhoti about 3 miles to Blue Mountain Shelter, which is very nice, especially if you like mice. thanks, Edwin for the advice. Maybe we could meet you one weekend for a day hike or something. Would love to try out some of the Pinhoti Trail. Scott, I love the descriptions of the parks/trails, the helpful advice should we visit, and the great photography. However, I have been thinking that you might want to change the name of you blog. Something like, “Places I’ve been and you wish you had been.” 🙂 Seriously, I love the stuff your writing. Keep it up! thanks Pastor Jeff. I’m glad you are enjoying my blog and thanks for the encouraging words. This is great. I didn’t realize the park was so big. The picture of Stephanie at age 14 is great. Thanks for sharing this with us. thanks Mim … I believe you visited this park with us one time or am I getting confused with another park? I grew up at the foot of Cheaha Mtn. & have worked at the State Park. I moved to Cheaha, outside of the park & hav friends that live there as well. This Mtn. is full of beauty & wonder. I love all its beauty & mystery, When im there, My soul is free &full of life, It holds the key to my heart&soul. I return to the mtns. with each changing seasons, One day thats where my soul will rest & my body will b laid to rest as well, until then I will return mind, body n soul in search of all its wonders, mysteries, n contentness bcoz i love Cheaha as high as its mtns. n as deep as its valleys. I live at the bottom ot its rolling hills & can c its beauty from my home but she calls for me, with her whispering & howling winds, I believe in my heart, she is my home, my love, my concious. I will always return. 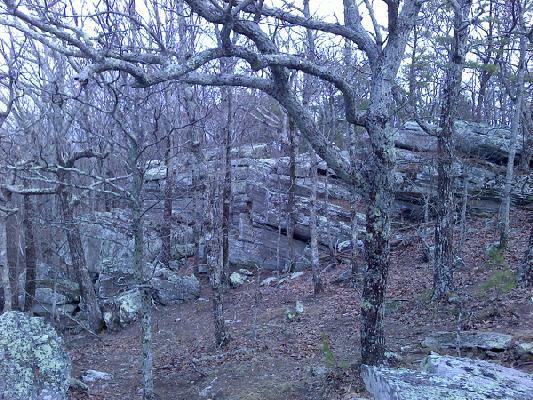 You gotta expierience Cheaha Mtn, you’ll come back for more…. Thanks, Donna. 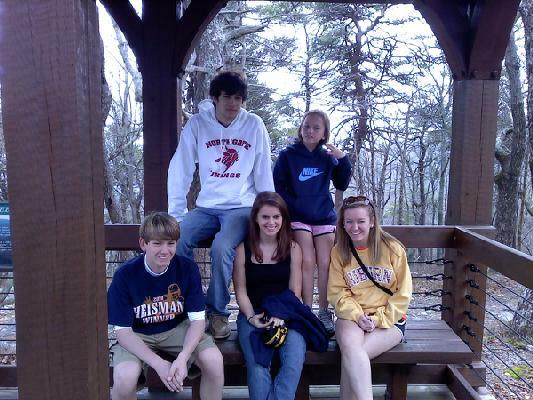 Cheaha has always been a special retreat for family. Can’t wait to get back there this spring! Are there any trails around lake cheaha? A steep trail called the Lake Trail runs from the lake back up the mountain to some of the overlook spots. Visit the park website, and you can see some maps embedded there.